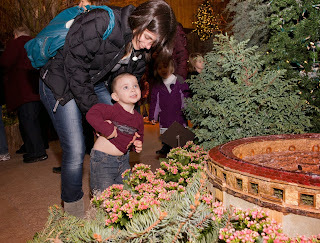 Now that our children are growing older and our family plans our holiday adventures and can't-miss experiences together for the season, I experience a little bit of Neverland; I thought perhaps by now our children, who range in age all the way from five to 17, would have outgrown the #WonderlandExpress model train exhibit at the Chicago Botanic Garden. Fly the W! 2016 at the #Wonderland Express representing Chicago Cubs World Series Champs! 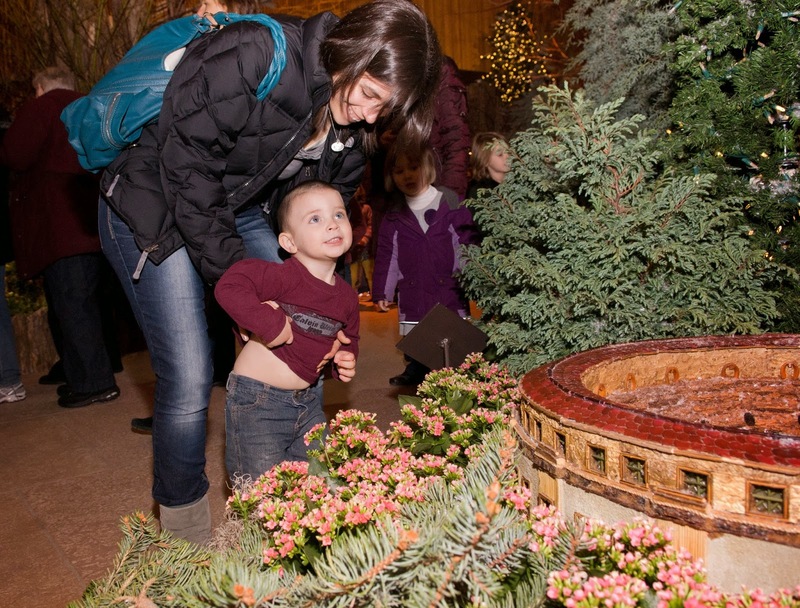 But I suppose you never get too old for the magic of indoor snow and the wonder of how artists bring the natural world and its magnificent materials together to recreate a gloriously beautiful replication of the city of Chicago. We've been enjoying this one-of-a-kind, indoor exhibit at the garden since our boys were small, and every year after I wonder if this year might be our last year we venture off to the exhibit and wonder at the beauty, the creativity and the attention to the smallest details as we explore the creation. Flashback to when we chased little boys who chased little trains! While we're certainly not chasing boys who are chasing trains anymore, we're definitely still wooed through the whole exhibit, drawn into the carefully crafted details of famous landmarks like the Bean near the lake front and the ferris wheel at Navy Pier. The Chicago Botanic Garden is always so generous with those who gather here to read, and this year is no exception. The garden is giving away four tickets to the #Wonderland Express and two parking passes to one winner who enters. All you have to do is follow the simple directions below. Hoping you get to experience a little bit of Neverland-I'll-never-grow-up feelings this season, too! Truly what a beautiful site to behold! To marvel at the magnitude of care that has gone into this creation for us to enjoy! Would love to win the tickets! This was the first year we volunteered at a Santa's Workshop, and is something I hope we can continue doing each year. I've never been to this exhibit.... Looks wonderful! We would love to go! What a delight for our whole family! Our beautiful city in miniature and all the trains chugging along! One year we'll get down there and see this! It's on my to do list but always gets pushed.